Tattoos may be more common than ever, but don't take tattooing lightly. Know the risks and understand basic safety precautions and aftercare steps. You could be the proud owner of a new tattoo in a matter of hours � but don't let the ease of getting tattoos stop you from making a thoughtful decision about permanent body art. If you first take steps to protect yourself from possible risks, what seems like a cool idea now is less likely to turn into a source of regret later. A tattoo is a permanent mark or design made on your skin with pigments inserted through pricks into the skin's top layer. 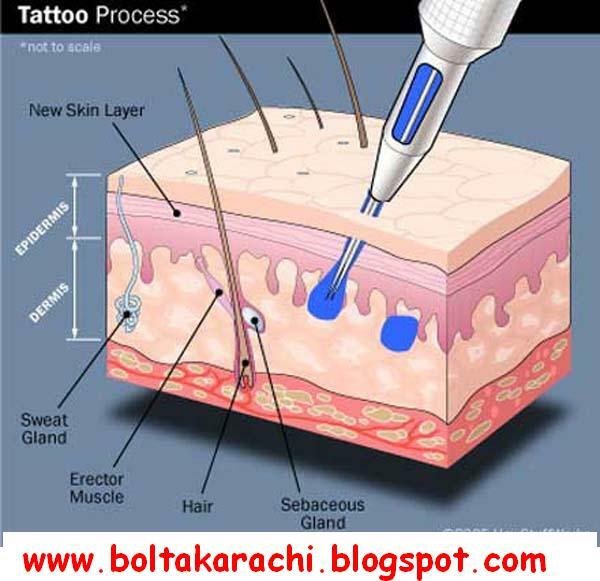 Typically, the tattoo artist uses a hand-held machine that acts much like a sewing machine, with one or more needles piercing the skin repeatedly. With every puncture, the needles insert tiny ink droplets. The process � which is done without anesthetics and may last up to several hours for a large tattoo � causes a small amount of bleeding and slight to potentially significant pain. All I. Allergic reactions. 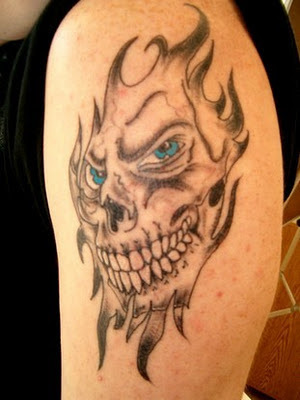 Tattoo dyes � especially red dye � can cause allergic skin reactions, resulting in an itchy rash at the tattoo site. This may occur even years after you get the tattoo. II. Skin infections. Tattoos can lead to local bacterial infections, characterized by redness, swelling, pain and a pus-like drainage. III. Other skin problems. Sometimes bumps called granuloma form around tattoo ink � especially red ink. Tattooing can also lead to raised areas caused by an overgrowth of scar tissue (keloids). IV. Blood borne diseases. If the equipment used to create your tattoo is contaminated with infected blood, you can contract various blood borne diseases, including hepatitis B, hepatitis C, tetanus and HIV � the virus that causes AIDS. V. MRI complications. Rarely, tattoos or permanent makeup may cause swelling or burning in the affected areas during magnetic resonance imaging (MRI) exams. In some cases � such as when a person with permanent eyeliner has an MRI of the eye � tattoo pigments may interfere with the quality of the image. Who does the tattooing? Go to a reputable tattooing studio that employs only properly trained employees. Keep in mind that regulation requirements and licensing standards vary from state to state. Check with your city, county or state health department for information on local licensing and regulations. Does the tattoo artist wear gloves? Make sure the tattoo artist washes his or her hands and wears a fresh pair of protective gloves for each procedure. Does the tattoo artist use proper equipment? Make sure the tattoo artist removes a needle and tubes from sealed packages before your procedure begins. Any pigments, trays and containers should be unused as well. Does the tattoo artist sterilize nondisposable equipment? Make sure the tattoo artist uses a heat sterilization machine (autoclave) to sterilize all nondisposable equipment after each customer. Instruments and supplies that can't be sterilized with an autoclave � including drawer handles, tables and sinks � should be disinfected with a commercial disinfectant or bleach solution after each use. Also ask yourself whether you truly want to invest in permanent body art. Choose the location of the tattoo carefully. Don't get a tattoo if you're under the influence of alcohol or drugs or worry that you might regret the tattoo later. Remove the bandage after 24 hours. Apply an antibiotic ointment to the tattooed skin while it's healing. Keep the tattooed skin clean. Use plain soap and water and a gentle touch. Pat � don't rub � the area dry. Use moisturizer. 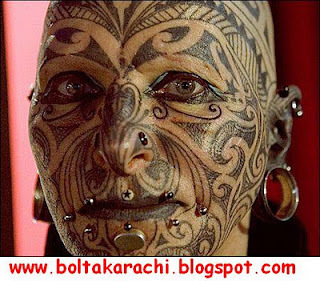 Apply a mild moisturizer to the tattooed skin several times a day. Avoid sun exposure. Keep the tattooed area out of the sun for at least a few weeks. Choose clothing carefully. Don't wear anything that would stick to the tattoo. Allow up to 2 weeks for healing. Don't pick at any scabs, which increases the risk of infection and can damage the design and cause scarring.